At a time when new ship orders seem to occur on a monthly basis, I was concerned September was going to be quiet. But then in quick succession, Cunard and Silversea both announced Fincantieri is building them new ships while Azamara Club Cruises is acquiring P&O Cruises' Adonia. More competition in Norway's coastal cruising market? 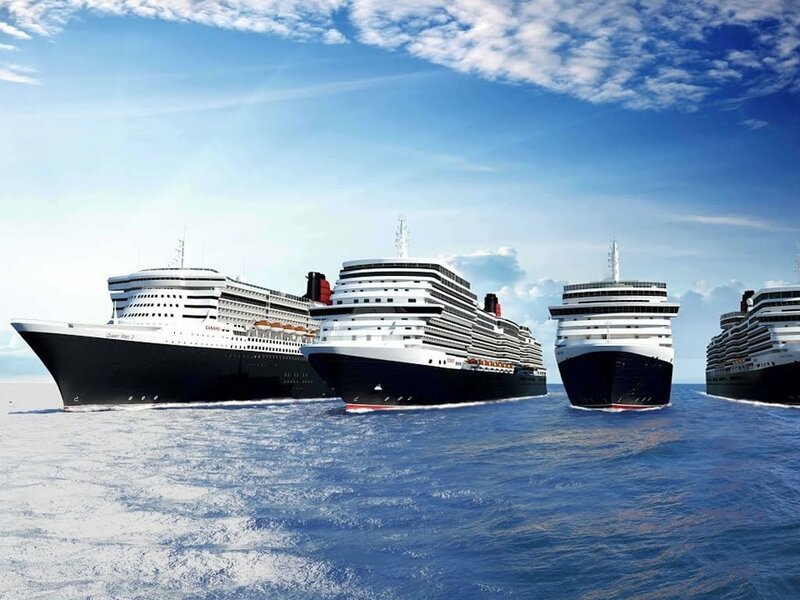 Cunard is to add a fourth ship to its fleet. Fincantieri will build a 113,000 gross tonne, 3,000-passenger ship for the cruise line by 2022. The ship will become the 249th ship to fly the Cunard flag and will join Queen Mary 2, Queen Victoria, and Queen Elizabeth. The ship has no name fuelling intense discussion on social media over suitable options. Initial feedback on the design of the ship is mixed, with purists not content with the size nor shape of the vessel, preferring instead a classic cruise liner. Silver Muse will soon have a sister, tentatively named Silver Moon. Fincantieri will construct the 40,700 gross tonne, 596-passenger luxury ship for Silversea Cruises. The ship is due to join the Silversea fleet of nine vessels in 2020. It will include environmental systems to cut air and water pollution. Manfredi Lefebvre d'Ovidio, Chairman of Silversea, ultimately wants to see a fleet of a dozen ships as per his father's ambition. Separately, Silver Wind and Silver Whisper will both undergo refurbishment by December 2017 to incorporate technical improvements and upgrades. Many of the public areas will take inspiration from the décor on Silver Muse. Meanwhile, Silver Spirit will be lengthened with the addition of a prebuilt 49-foot-long midsection in early March 2018. The section of superstructure adds 34 additional suites. The ship will also receive Silver Muse-inspired interiors too. Azamara Club Cruises' fleet will soon grow from two to three, thanks to the addition of an extra boutique ship. Azamara Pursuit° will join Azamara Journey° and Azamara Quest in March 2018. Unlike other luxury cruise lines, the ship is not a new build but instead is an acquisition of Adonia from P&O Cruises. 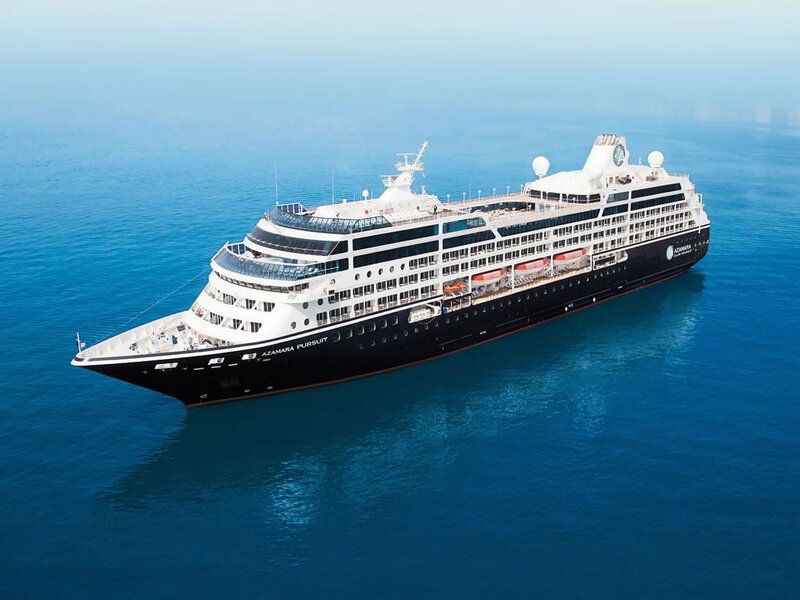 In an age when many luxury cruise lines are rapidly expanding, it was just a matter of time before Azamara Club Cruises felt the need to join in. Opting to refurbish an older ship instead of building from scratch will allow it to better compete in the short term. As expected, the ship will be fully renovated to Azamara Club Cruises standards before it enters service. The updates will reflect renovations recently made on Azamara Journey and Azamara Quest. Norway is facing pressure from the EU to open up coastal routes between Bergen and Kirkenes. 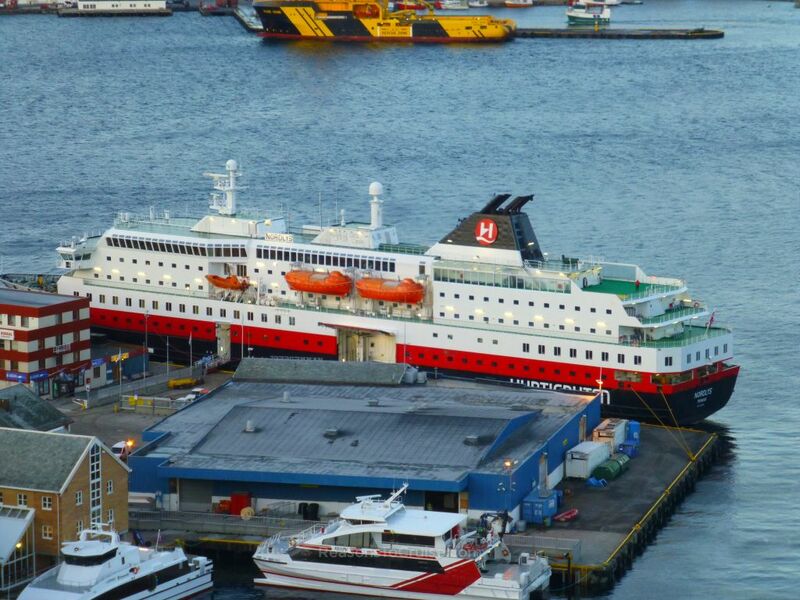 The Hurtigruten service, which is part-lifetline to the remote North and part-cruise line, has operated since 1893. Now the EU's competition authorities want things to change. While I'm sure the regulator's ambitions are admirable, I wonder if the net result will be a deterioration in service to the locals who desperately rely on a regular, uninterrupted, and unified service. "Only Hurtigruten is Hurtigruten. If we land in a situation where we don’t win the contract, or don’t compete for it, we will still fight for a strong presence along the Norwegian coast." The article's author, Nina Berglund, speculates that if this were to happen, it could launch itself purely into the cruise market, or offer to sell its name to the winning bidders. In recent years Hurtigruten has begun to offer more expedition cruises, with the addition of MS Spitsbergen plus new ships on order. Expect a lot of legal wrangling between now and 2019 when Hurtigruten's current contract with Norway's Transport Ministry expires. When I sailed with Hurtigruten, I experienced bad weather that meant one port didn't see it's delivery until the next day, and passengers were delayed boarding and disembarking at that port of call. If there are multiple companies operating along the route, how will the competition impact on situations like this? As for tourism, competition can help to drive down prices although it may water down the experience too. 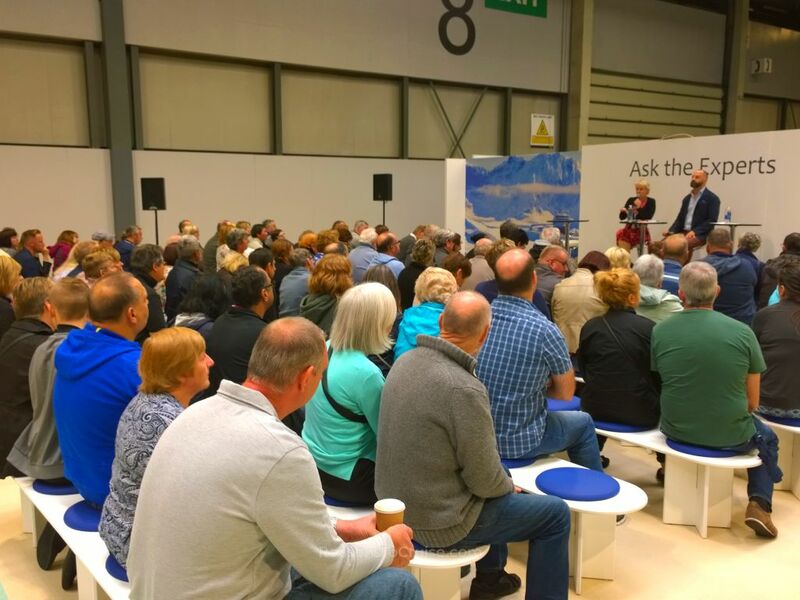 This month saw the Cruise Show event take place at Birmingham's NEC arena. I travelled to the show to see what it was like. It was busy (but not overwhelmingly so) and the stands were impressive. Hurtigruten offered visitors a 360° virtual reality experience with its headsets. Barely an empty seat could be found at the expert talks. Queues formed at many of the stands with customers eager to take advantage of the show-only offers. I would have liked to see more in the way of additional seating, interactivity, and destination inspiration. That said, if I had been planning to book a cruise with one of the exhibitors, I would have done so at the show to take advantage of the extra deals. Thomson Cruises offered £100 per cabin in onboard credit on holidays booked at the show, for instance. Happy Hour, which ran at the beginning and at the end of each day, saw brands offering extra perks - such as onboard credit or speciality restaurant meals - on top of the show offers. Thomson Cruises will be hosting an Electric Sunsets cruise aboard TUI Discovery in September 2018. The three-night adults-only mini cruise from Newcastle will host 80s-themed sets by Sara Cox and Trevor Nelson, plus pool parties by Ministry of Sound. Full details here. In an industry first, Costa Cruises has enabled its Chinese passengers to book and pay for their cruise itineraries using WeChat, China's leading online social platform. Passengers can also use the service to make digital payments for a variety of onboard services. Hapag-Lloyd Cruises' MS Europa and MS Europa 2 will both receive refits at Blohm+Voss in Hamburg. The work will be completed by October and will see the ships receive technical upgrades, renovations, and redesigns in some areas. Holland America's MS Koningsdam now has an art collection worth $4.1 million. The collection spans 1,920 museum-quality pieces representing artists of 21 nationalities. Carnival Cruise Line will add its first-ever teppanyaki dining venue to the 133,500 gross tonne Carnival Horizon. The ship will launch in Europe in April 2018. It will also feature the cruise line's first Dr. Seuss-themed water park as the brand partnership continues. Work has begun on AIDAnova, dubbed the world’s first fully LNG-powered cruise ship. The ship is being constructed by Meyer Werft and is due to enter service in late 2018. CroisiEurope launched its new ship, RV Indochine II, in Phnom Penh. The 62-passenger vessel will sail alongside four more CroisiEurope ships on the Mekong. Pandaw announced the addition of a third ship to join their Laos Flotilla on the Mekong River in September 2019. RV Sabei Pandaw will become the 17th vessel in the Pandaw fleet. The unstoppable force that is Crystal River Cruises took delivery of Crystal Mahler, its second Rhine Class river ship. The vessel will sail seven-, eleven- and 16-day voyages along the Rhine and Danube Rivers, visiting Austria, Germany, Slovakia, the Netherlands, and Hungary. Two additional Rhine Class ships, Crystal Debussy and Crystal Ravel, will join the fleet in 2018. Royal Caribbean has drip-fed some more details about its refit plans for Independence of the Seas in April 2018. Besides an Escape Room, top deck trampolines, and laser tag arena, there will also be improvements to the Ice Rink and revamped theatre. H2O zone will make way for Splashaway Bay and exotic speciality dining restaurant Izumi will set up shop. New lounges and Panoramic Ocean View staterooms will also be installed ahead of the summer 2018 season from Southampton. Carnival Corporation will soon launch OceanView, a digital streaming channel, on its 60+ cruise ships as well as on Amazon Fire TV, Apple TV, and Roku. Over 100 episodes of original content will be available, including four original series that have been broadcast on network and cable TV, plus two digital-only series. Shows will cover topics including cruise ship design and construction, elaborate culinary creations, destination guides, and cruise ship attractions. Plenty of cruise lines launched their 2019 itineraries this month. If you like booking early, now is the time to book your 2019 holiday. Check with your favourite cruise line to see what they have on offer.